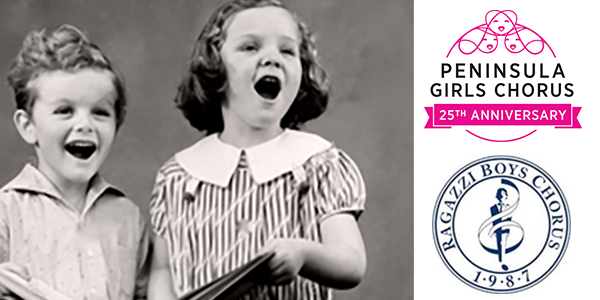 Siblings in Song Concert, Sunday, April 28, 4:00 p.m.
Join Ragazzi's Young Men's Ensemble and Peninsula Girls Chorus' Ensemble as we celebrate our long history of collaboration, sharing the stage together in one of the most beautiful Peninsula venues. These brothers and sisters in song will keep your toes tapping and delight your ears with their gorgeous sounds. Concert-goers will get to hear each group sing their own set of music, followed by exciting combined concert closers. 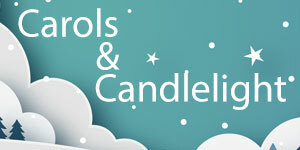 You won’t want to miss these two amazing choirs on display! General Admission, $20, Student/Senior $15. Tickets are available now on brownpapertickets.com. 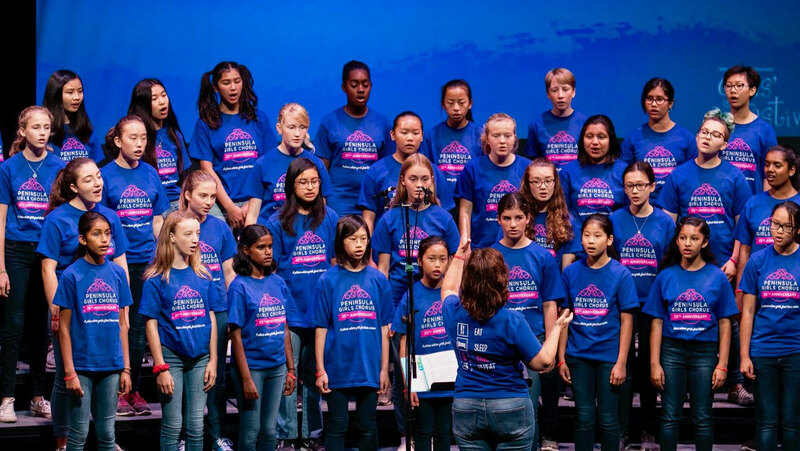 Reflections of Humanity, Saturday, June 1 and Sunday, June 2, 2019, 3:00 p.m.
Peninsula Girls Chorus shares the culminating event of our 25th Anniversary season, “Reflections of Humanity". This spring's repertoire highlights music’s far-reaching and multi-faceted uses in the lives of human beings. Music can unite, celebrate, mourn, inspire, encourage, and calm us. Saturday's concert features our Allegra, Brava, Concerta & Ensemble choirs; Sunday's concert features our Repertoire, PGC Coastside, Concerta & Ensemble choirs, as well as our Senior celebration ceremony. Aragon High School Theater, 900 Alameda de las Pulgas, San Mateo, CA. General Admission, $20, Student/Senior $15, Premium Tickets, $35. Tickets will be available in May on brownpapertickets.com. Take Me Out to the Ballgame - Giants vs. Pittsburgh Pirates! 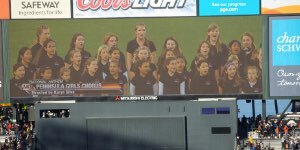 Buy your tickets now to hear our girls sing the National Anthem and watch San Francisco Giants vs. Pittsburgh Pirates on Tuesday, September 10th, 2019 at 6:45 p.m. All Allegra, Brava, and Concerta girls who attend BUMC day camp and Ensemble singers are eligible to perform. Tickets are $20 at the rehearsal desk and $22 via PayPal (click the button on the PGC website to purchase online). Tickets purchased online will be delivered at rehearsal, unless you have requested them to be mailed. Please allow 48 hours for processing. This is a PGC fundraiser; purchasing your Giants tickets through PGC will allow you to attend the game while helping support our chorus. Staying for the game is optional, however all singers who are planning to stay and watch the game must have a ticket. 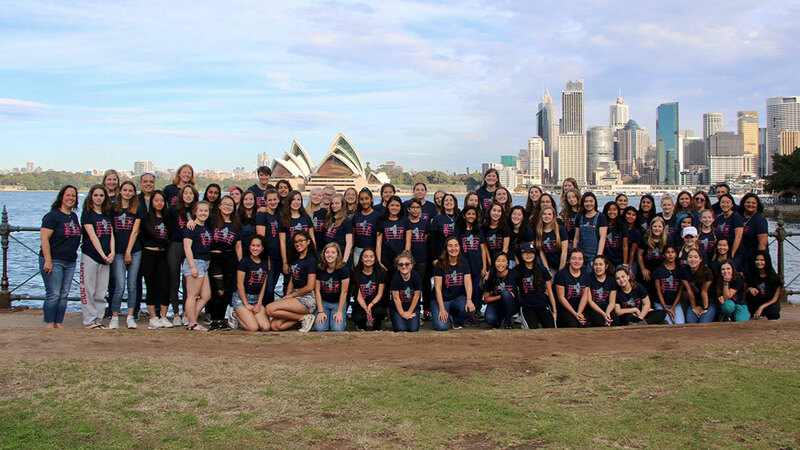 We’re proud to be transforming the lives of young women through the power of choral music. Girls who wish to participate in PGC must complete an audition appointment with our Artistic Director, Karyn Silva. We understand that for many singers this is their first experience at auditioning. We seek to make the process enjoyable and educational. We are looking for girls who have a clear love of singing, innate musicality and ability to focus on and respond to instruction. For more information, please visit our audition page and download our audition information packet. 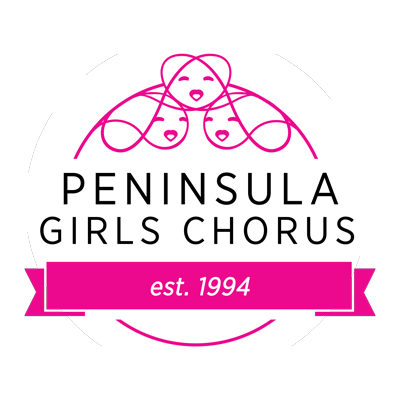 Peninsula Girls Chorus is supported in part by the California Arts Council, a state agency, and the National Endowment for the Arts, a federal agency.